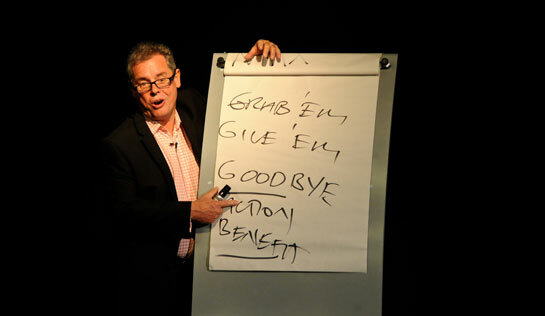 In his unique style, half business guru; half stand up comedian, Steve McDermott will help you increase your confidence and master the art of delivering a brilliant presentation. Sounds like fun! “When we laugh we learn.” Just imagine the impact this style of training will have on you, your staff, the organisation and its profits? So why choose Steve? He’s won the prestigious European Motivational Speaker of the year award three times. That’s because his presentations make people laugh as well as think. Founder of The Confident Club, and a fellow of the PSA with twenty years speaking experience under his belt, Steve McDermott is also a consultant, coach and trainer for a host of organisations including: Harrods, Pets at Home, Arco and Vistaprint. The difference between success and failure can often come down to as simple a thing as confidence. Whether in Britain, Barcelona, Berlin, Brussels or Boston (does the Confident Club only work in places beginning with B?) 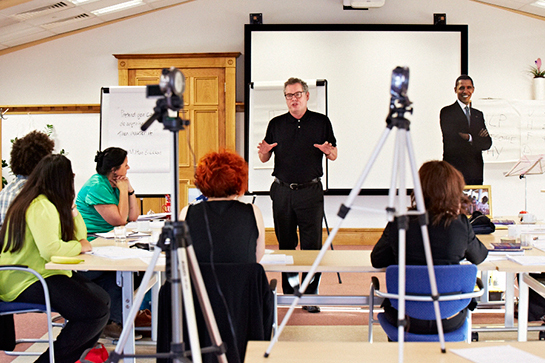 what we deliver has been described by our very satisfied customers as “The most powerful presentation coaching in the world” and “The best training we’ve ever had”. Working with everyone from CEO’s and senior managers through to sports people and TV presenters the Confident Club’s clients include: Harrods, Sony, Vistaprint, Pets at Home, Republic, Arco, ITV and Coca Cola. Led by founder Steve McDermott and head coach Curly Uppington, the Confident Club go way, way beyond where other training companies stop, by starting with your beliefs and attitudes: changing the way you think and behave. You see it’s no good learning, even the best techniques, if you don’t deep down believe you are any good at presenting. That’s just one of the things that make us different. Most importantly once you’re a member of the Confident Club we are here to offer help and advice with your speaking and future presentations for the rest of your business life. The Presentation Mastery Workshop focuses on self belief and the ability to present oneself powerfully and persuasively. Confident Club training is designed for people at the top of their professions, delivered by people at the top of theirs. Thanks for another great post. Where else may anybody get that type of info in such a perfect method of writing? I’ve a presentation next week, and I am on the look for such info.